China is all set to once again revolutionize the solar market. The country is testing its solar roadways which are plastic covered solar panels laid on roads. 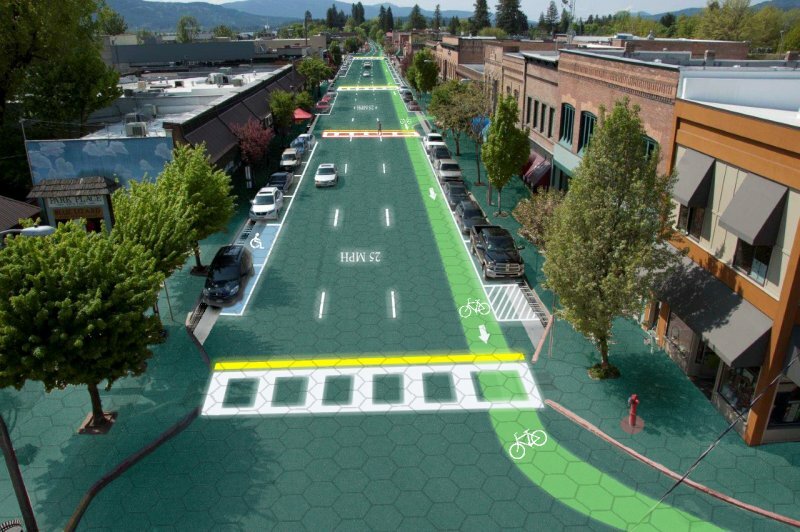 The plastic-like look of the solar roads is due to a complex polymer that is used in the construction. The product will not only have a major impact on the renewable energy but will also provide a better driving experience. China has always remained a global leader when it comes to manufacturing innovative products and solutions in the RE sector and produces the majority of the solar panels used globally. While nations worldwide are talking about floating solar panel technology, in order to save on land cost, China is testing its solar roadways. If successful, these solar roads will prove to be the next breakthrough product especially in land-locked countries like China. Power generated from these solar roads can be transmitted to homes and offices, street lights, signages etc. along the road, which means no power will be lost in transmission. Another advantage of these solar roads is that the concrete roads underneath will not require any maintenance for a long long time. The Chinese are also looking at launching another advanced version of these solar roads where electric cars could be wirelessly recharged without any hassle. You can read about Advantage and Disadvantage of Solar Roads. Though the concept of a solar road is not novel now, it is important to note the Chinese interest in it. If proven successful, there could be solar roads all around the globe! The world’s first solar road was built in the Netherlands and went live in 2015, generating 70kWh of energy per square meter annually. There are few more solar roads in France, Canada, Japan and the United States. One advantage of installing solar roads in China is its thick concrete road base, unlike the US which uses less concrete underneath. Leading Chinese companies are targeting to reduce the cost of a solar road to $310-$460 a square meter with mass production and estimate that a solar road could break even in 15 years’ time.